Accumulated Fabric Art (Duixiuhua or Buyi Duixiu) is a traditional form of fabric art dating back to Tang Dynasty. Qianlong Emperor from Qing Dynasty once enjoyed the art and made them for his mother. How to make them: draw a picture or outline a picture with carbon paper on to a hard paper sheet or a board. 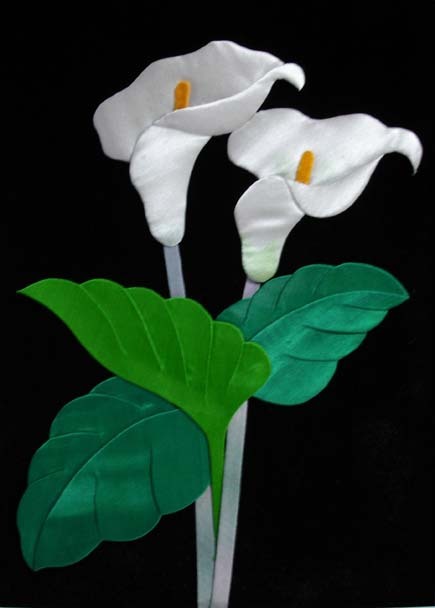 Then cut silk or other translucent fabrics and paste them on board to make a nice picture. It is different from the rural style Buduiua (patchwork picture) from north Shaanxi, in which embroidery skill is involved.